Why Hire Certified Probate Agent Kathleen Daniels? 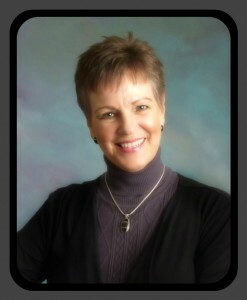 You are here: Home / Why Hire Certified Probate Agent Kathleen Daniels? There are many reasons to hire Certified Probate Agent Kathleen Daniels. Kathleen’s background includes working with top Silicon Valley law firms as a Probate and Estate Planning Paralegal and Fortune 100 companies as a Paralegal and Contract Manager. While she is not licensed to practice law, Kathleen has extensive knowledge of probate law. She is a licensed California Real Estate Broker that owns and manages a boutique brokerage that specializes in probate real estate. Certified and extensively trained in probate real estate she possesses specialized knowledge of the probate sales process, the probate timeline, and is experienced in probate and trust sales. She knows the difference between probate with a Will and probate no Will. Kathleen works collaboratively with probate attorneys who greatly appreciate working with an experienced probate real estate agent. Organized planning and highly efficient systems save time – and time means money. Executors and Attorneys want to work with Kathleen Daniels because she has a thorough understanding of the probate real estate contracts, disclosure requirements, and probate disclosure exemptions. When the probate court appoints an Executor or Administrator as the personal representative of an estate, they become an officer of the court and accept certain duties and responsibilities. If an Executor hires a real estate agent that does not have specialized knowledge, training, and experience in probate sales, and that agent’s lack of knowledge causes delays that cost the estate time and money, then the ability of the Executor to perform their court-appointed duties may be called into question. While there are no specific requirements for an Executor to hire a Certified Probate Real Estate Agent, an Executor does have duties and responsibilities to the Court. It simply makes sense to hire a certified probate agent to manage the sale of real property. Add Kathleen’s experience as a top negotiator to her keen market knowledge and her track record, and you have the perfect formula for a successful probate or trust sale. Probate attorneys understand the importance of specialized training in their field of expertise. In today’s world of highly specialized knowledge, it just does not make sense to hire a generalist. Anyone who is tasked with the job of administering an estate definitely wants to hire an attorney that is an experienced specialist in the field of probate. 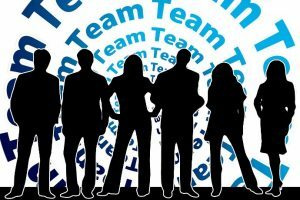 When it comes to selling probate real estate probate attorneys want to work with probate real estate agents that know what they are doing. Attorneys know the headaches it causes when a client hires an agent that has little to no real estate experience, has experience, yet is weak or sloppy, and/or has no clue about the probate sales process. Probate Attorneys have their hands full managing the legal aspects of the probate court process. Attorneys don’t want to spend their valuable time hand-holding or babysitting a real estate agent who does not know what they are doing. Mistakes take time to correct and ultimately end up costing money. While there is no legal requirement that an Executor or Administrator hire an experienced Certified Probate Real Estate Specialist (CPRES), there is no disputing that it makes sense to hire an agent that understands the probate sales process. How can a personal representative uphold their fiduciary duty and exercise a standard of care in managing the estate’s assets if they hire just anyone? Kathleen is not an attorney. When clients ask probate questions that do not relate to probate real estate sales, she directs her clients to their attorney for answers to their wills and probate questions and other related legal matters. Experience in the probate sales process makes a difference for all parties involved. When Kathleen manages the probate sales process she ensures her clients know what’s going on every step of the way. She keeps the lines of communication open. Attorneys comfortably and confidently recommend Kathleen to their clients because they know she gets the job done, and does the job very well. Kathleen is a licensed California Real Estate Broker and brings a wealth of experience & qualifications to her probate real estate business. Her past experience working with many top Silicon Valley law firms as a probate and estate planning paralegal provide a perspective and knowledge of the legal process as well. In addition, she has many years’ experience working with contracts. As a certified project management professional, she understands the importance of contract timelines and court deadlines. Timelines and deadlines are never missed when Kathleen manages the sale of a home in probate. Experience the difference Kathleen makes. She is proud to say that her clients are raving fans. That comes with a high level of commitment to go above and beyond for her clients and make the sales process as seamless as possible. Her dedication to truly serving her clients limits the number of clients she can help at any one time. She will not take on more business than she can manage and provide the level of service she believes everyone deserves. Kathleen completed the certification program in Professional Fiduciary Management for Trustees in 2017. She understands the roles and responsibilities of successor trustees and confidently manages trust sales. She managed her own mother’s estate without probate. 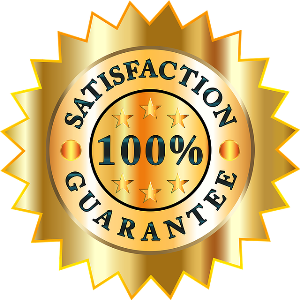 Our mission at NeedProbateHelp.com is to create satisfied clients. We do that by going over and above in service and delivering more than we promise. We understand how to best serve a Personal Representative’s needs when liquidating real estate. We not only speak the language of probate, we understand the rules of engagement with the Probate Court, and collaborate with attorneys. Our role in serving clients extends beyond working with a team of top real estate professionals to manage a real property sales transaction. Over the years we have developed relationships with trade professionals in Silicon Valley. Our clients appreciate the fact that we do whatever needs to be done. We facilitate the process of obtaining quotes for repairs and manage any and all necessary work completed during the listing, sales and escrow process. Our clients feel the service we provide is priceless. Administrators and Executors know we have the real property piece of the probate equation taken care of. 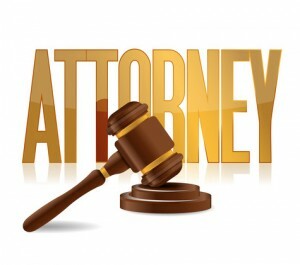 We communicate status to all parties, including the attorney, on no less than a weekly basis. We take the guesswork out of selling property included in the probate estate. Our focus is on residential real estate sales. This includes single family homes, condominiums, townhomes, and multi-family homes up to 4 units. We work with investors in finding off-market opportunities as well as provide a list of probate properties for sale. We are happy to refer you to a probate specialist that manages non-residential probate real estate assets such as commercial, land, business, etc. We collaborate with referral agents and ensure the lines of communication are kept open between all parties, including the attorney. When you hire Kathleen to manage the sale of a home, your satisfaction is her guarantee. If for any reason throughout the sales process you feel she is not upholding her fiduciary duties, or for any reason are not happy with her service, then you need to let her know. Open and honest communication is the key to resolving issues or concerns. While Kathleen is managing the details of the probate sales process, you focus your time on managing the many other Executor Duties and responsibilities. You and your probate attorney don’t need to worry about the sale of the property.